An article by Mike Pickering, reproduced with kind permission. It was our first sight of Yatton Keynell – and it didn’t look very promising. My wife, Sue, had found the village on the map. We were moving from London and she had seen a picture in an estate agent’s window of new houses being built in the centre of the village. We decided to investigate. Driving from Chippenham the first thing that caught our eyes as we entered the village was a cluster of the ugliest buildings imaginable sitting in the middle of what seemed to be a somewhat neglected field. Built of wartime utility brick, the buildings appeared to serve no practical purpose. They were huge, windowless, solid and functional in appearance, but what possible function could they serve, we wondered? The year was 1983. Six years earlier the village had persuaded the Ministry of Defence to return the land it had compulsorily purchased during the war to Yatton Keynell ownership. 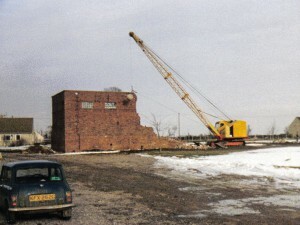 And with the land came the buildings – block houses – Sue and I soon learned – protecting pumping station machinery from blast damage should any German bombs fall close by. And so we learned the story of the oil pipeline running through the village and down to the south coast to fuel the invasion ships and vehicles assembling for D-Day. The oil pipeline remains in use, it’s line marked by white posts situated in hedges and at roadsides, but the block houses are long gone, thanks to much effort by villagers. 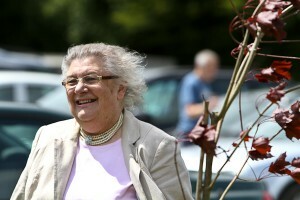 They have been replaced over the last 35 years by the village hall, the school and the play area landscaped by a tree planting programme that continues today, with the dedication of a Diamond Jubilee Tree by Barbara Hughes. 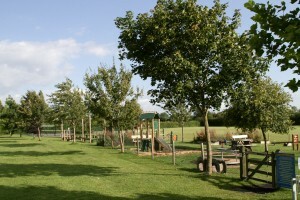 Together they provide Yatton Keynell with village facilities to be proud of. A Jubilee Field named for the Queen’s Silver Jubilee in 1977 and thriving today, 35 years of effort later as the village celebrates the Queen’s Diamond Jubilee.